Bauer Nexus N7000 Sr Hockey Skate | Sports Etc. 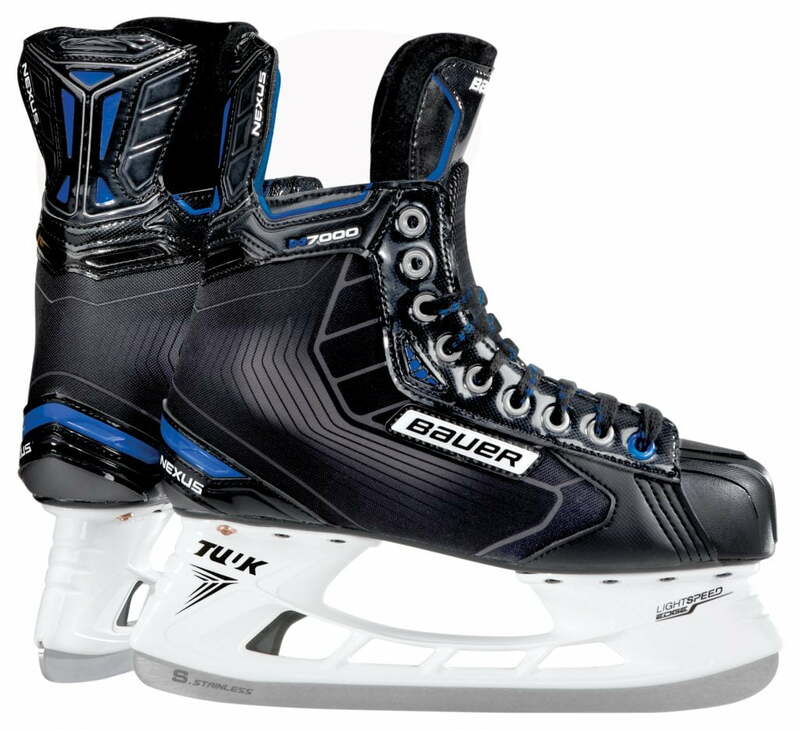 The Bauer Nexus 7000 offers a full, generous cut to fit feet of above average volume. The built-in speed flex channels and Anaform ankle pads create one of the more comfortable and flexible skates on the market. Lightspeed Edge holder allows the ability to change blades on the fly! Sports Etc Performance To Value Rating– 7 out of 10- A great skate for a player looking for maximum comfort and flexibility. Solid skate for any intermediate level player.